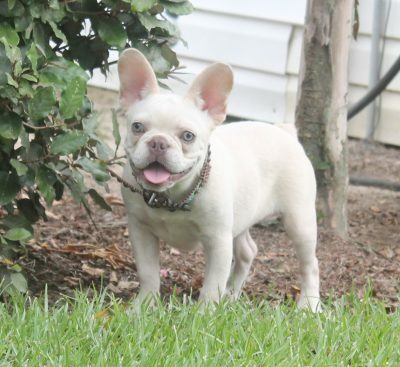 Lilac and tan French Bulldogs are very rare and feature a beautiful sleek silver shade coat with accents of tan on the face and legs. 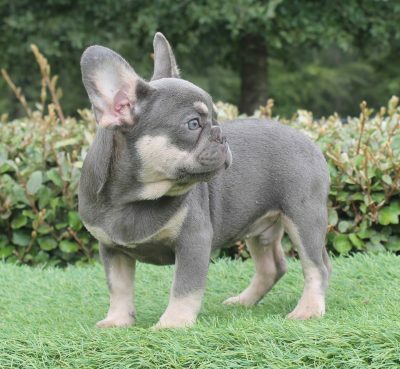 The lilac coat has no brindling for a smooth, striking result that is complemented by the contrasting tan markings that highlight the puppy’s chest, eyes and face, and lower legs. 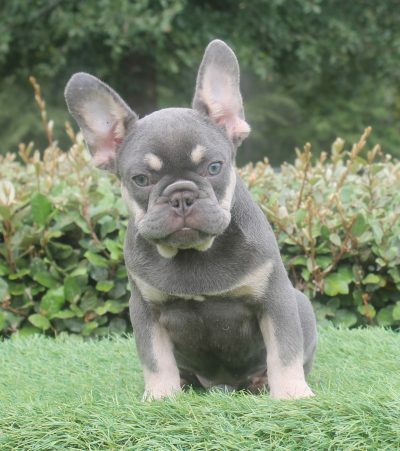 The most stunning feature about a lilac and tan is the puppy’s light eye color, which will remain light as an adult. 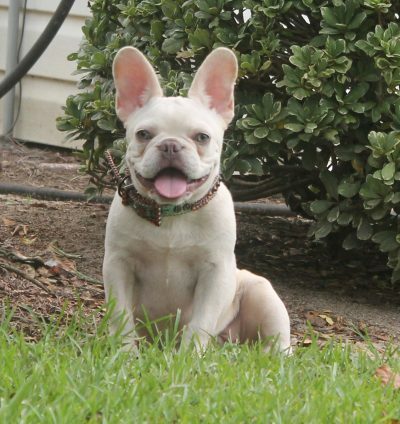 Learn about purchasing your lilac and tan Frenchie today! All puppies are eligible for full AKC registration, and a three generation pedigree chart is included with adoption. Your puppy will receive a full veterinarian examination prior to delivery and one-year health guarantee from the date of sale against any illnesses diagnosed at time of delivery or genetic disorders.